You all had some really great guesses about what the two pictures in yesterday’s post had in common. The answer? They were both from the first ever Pittie Trails hike! We had a great, great time! 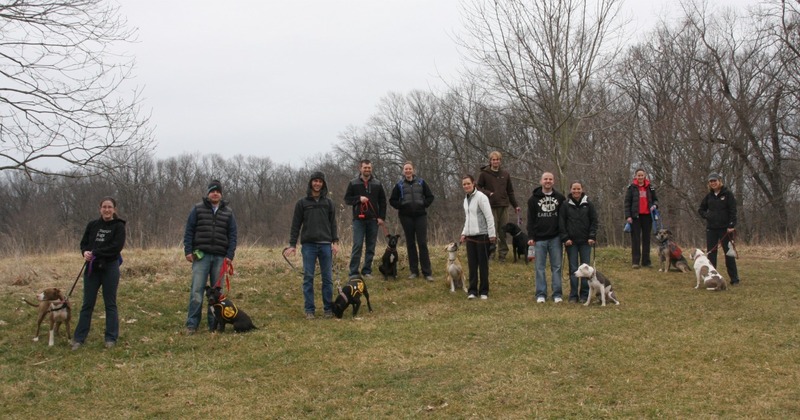 There were nine dogs total who came out to Rachel Carson Conservation Park last weekend. 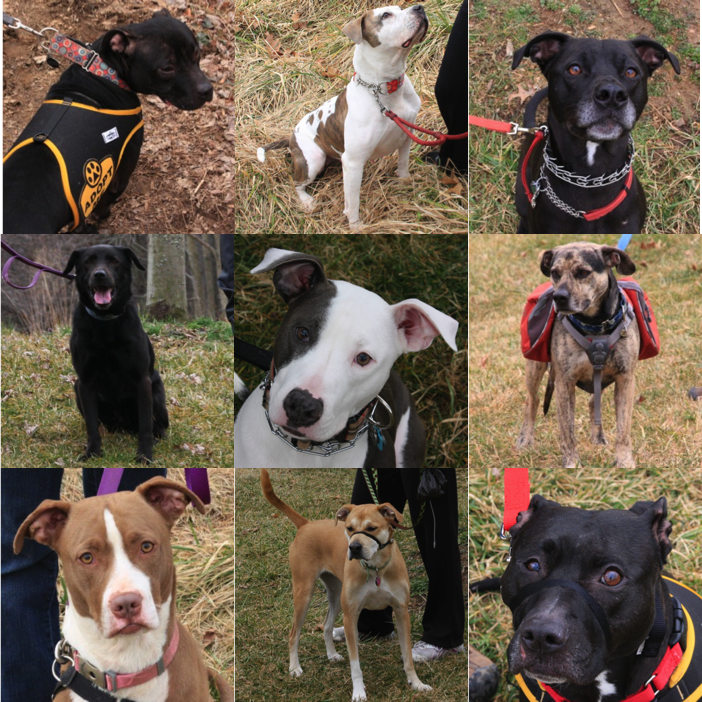 From the top left: Baxter, Lily, Athena, Reese (with the backpack), Cotton (gray & white), Nelly, Penny (pink collar), Stella, and McMuffin (who is for adoption!). All of them were extremely well behaved, even while working on different manners. A horse! We came across very few other people on the trail, but one of which was this pair. The poor horse “doesn’t like dogs” according to the rider, and you can imagine what we expected the dogs to think about the horse. Luckily, though, we were on a spot on the trail that everyone could get far off the path (which they did quickly and quietly because everyone was so awesome!). The horse snorted and pranced by us, visibly unhappy but tolerant. 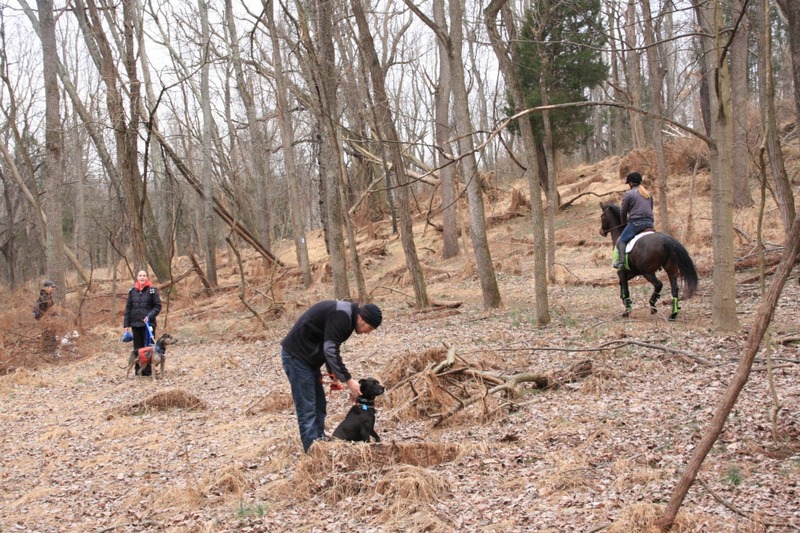 The dogs all did great, except I think for Athena who sent out a few barks expressing the way she felt – understandably! Other than that, it was nothing but woods, creeks, and fields. The weather was perfect, and I think a good time was had by all! 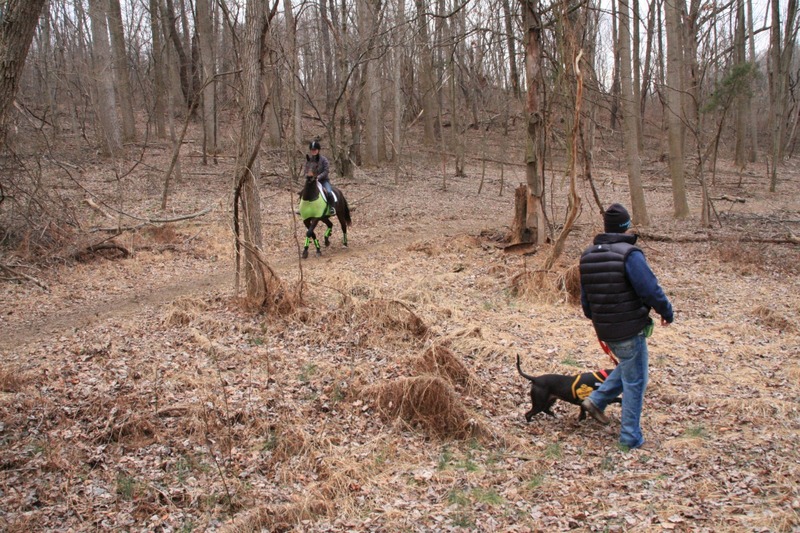 The trail was a little short, so I think a few dogs ended up energy to spare – but we are really excited to start branching out to new locations after we get the group going. Hopefully we can get to an area by everyone who wants to join. Thanks so much to everyone who came out for the first hike! 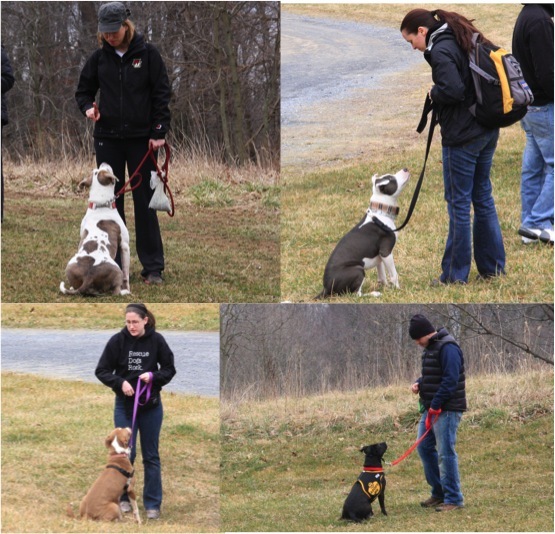 We don’t have the next one scheduled yet, but stay tuned to the Pittie Trails Facebook page for the coming schedule. Also, check out the Facebook page in the next few days to see the photo album of all the pictures from this trip. 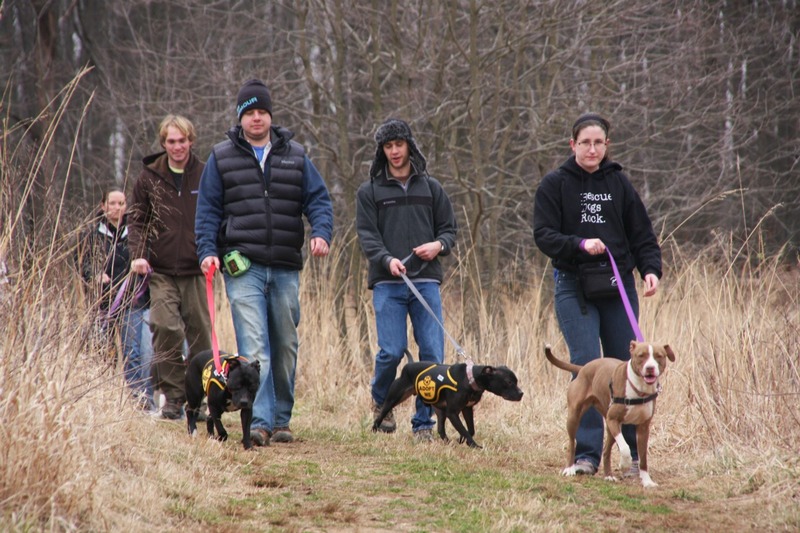 Email pittietrails@gmail.com if you have any questions about coming on hikes with us – we’d love to have you. 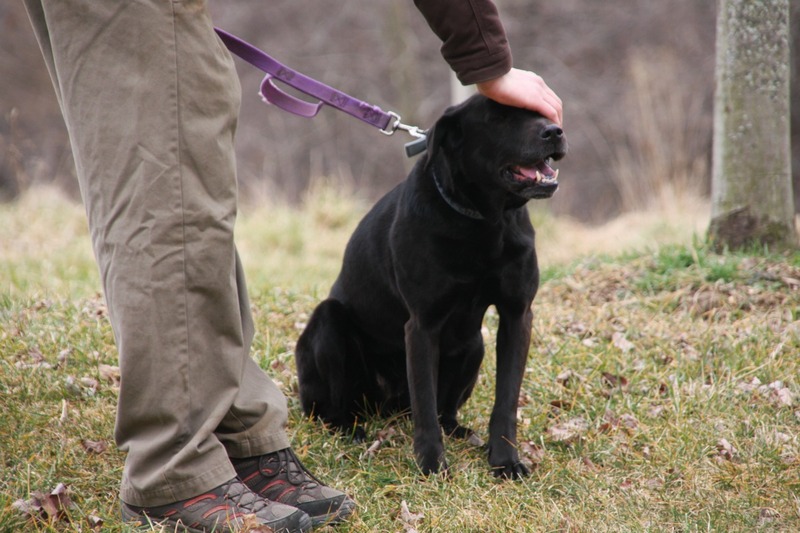 This entry was posted in Baxter, Dog talk, Pittie Trails, Rescue/Humane Society, Uncategorized and tagged Baxter, dog walking group, hiking, manners, pit bulls, rescue dogs, socialization, training. Bookmark the permalink. I’m guessing since you’re local in Maryland? 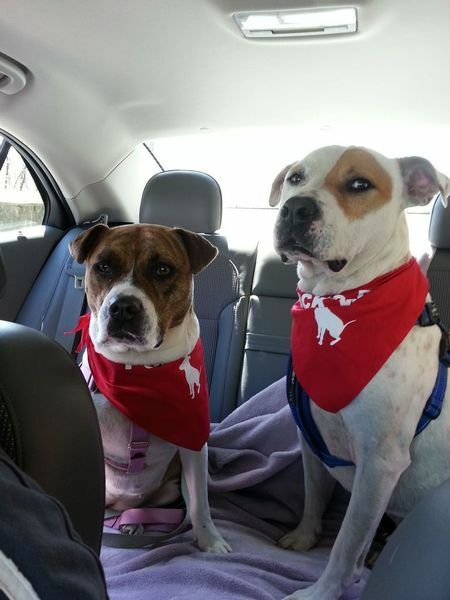 I’d like more info….we adopted Ozzie from Jasmine’s and this is JUST what he needs. A strong pack to be in yet controlled. Please email me if you have a chance so we can possibly join you on another walk. Thanks. Awesome! That is one good lookin’ group! 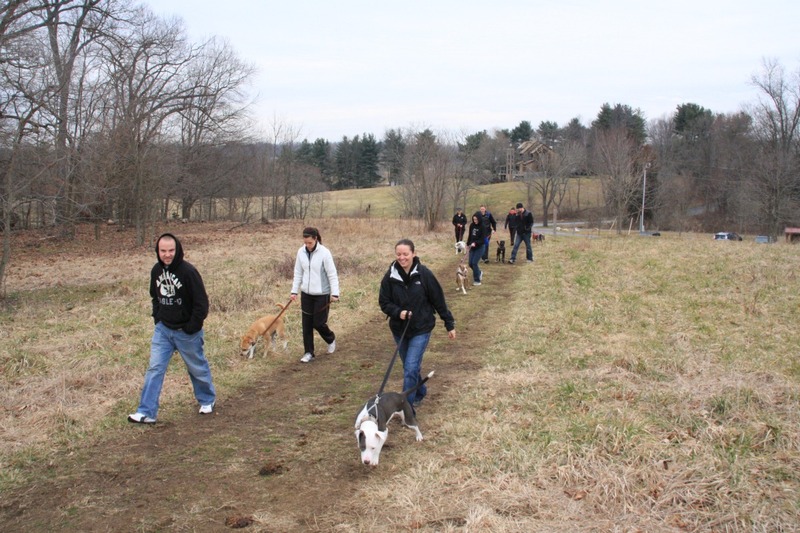 We have our first Positive Pittie Pack walk here in Jersey this Sunday! Awesome! Im SO glad youre doing this! So glad to hear your first walk went well! I know I was absolutely amazed at how well all the dogs did on our first pack walk. And they were exhausted afterwards! Can’t wait to hear more about it! This looks like so much fun. It sounds like the dogs all had a great time and got along well. Even if the trail wasn’t as long as expected, I am sure all that fresh air was enough to tire them out just fine. I can’t wait to see more photos in the future. I wish I lived close enough to join in!